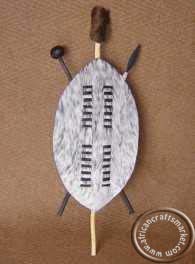 A small African shield that stands 40 cm tall and used as a unique Zulu ornament. These shields can be framed and make excellent wall hangings. The total length of this Zulu shield is 40 cm from the top of the center shaft through to bottom of the center shaft, the hide size is 25cm. 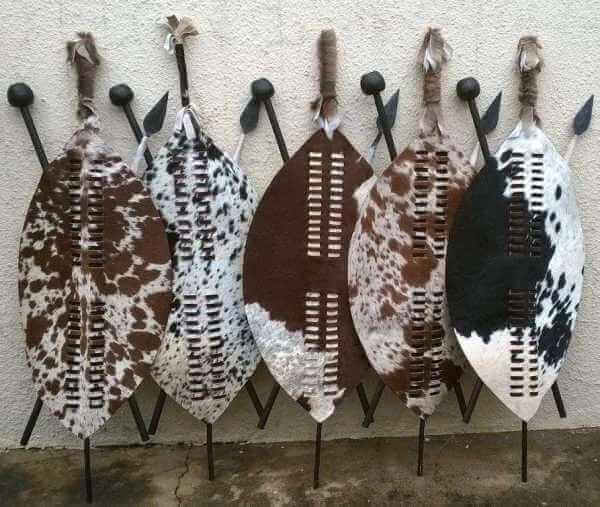 Zulu shields are traditionally made from Nguni Cow hide which is the local cow in Southern Africa. 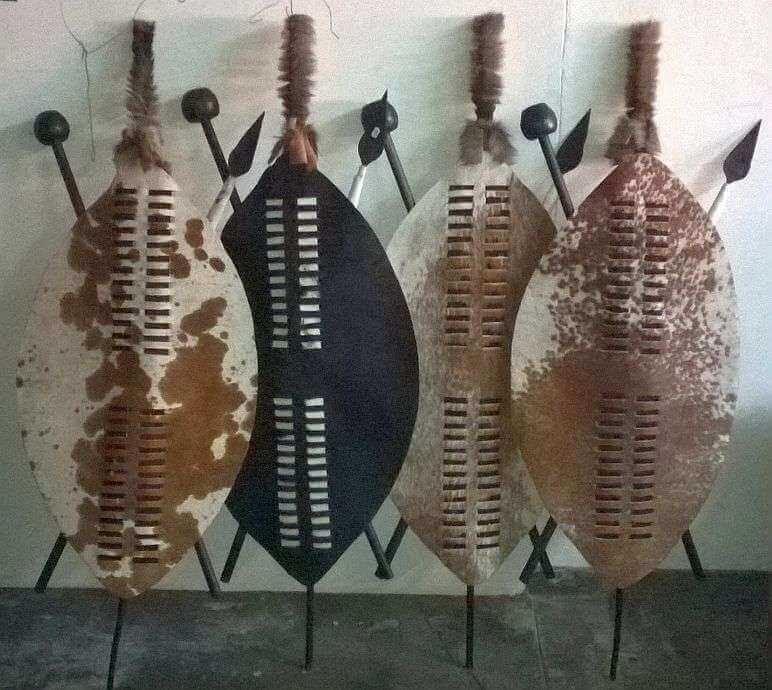 Zulu shields were originally used in battle. 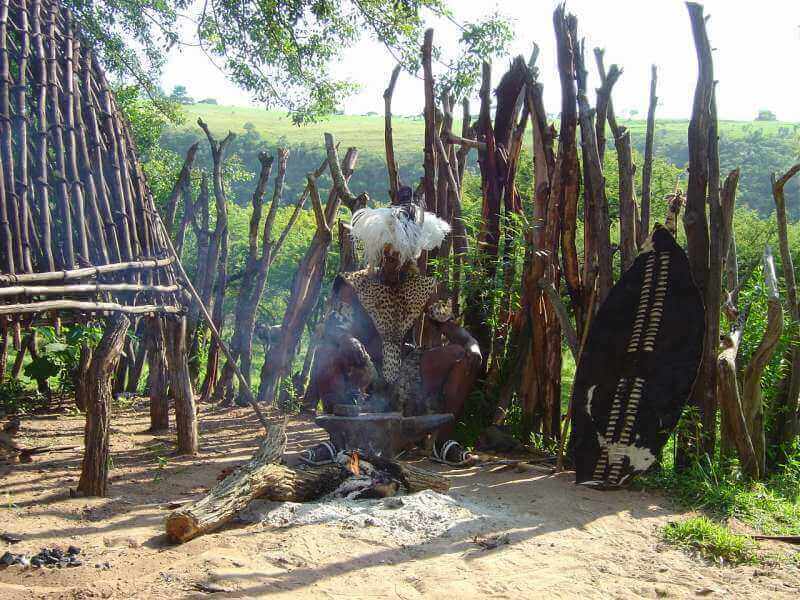 However, in our modern times they are mainly used for traditional Zulu ceremonies; such as weddings and funerals. 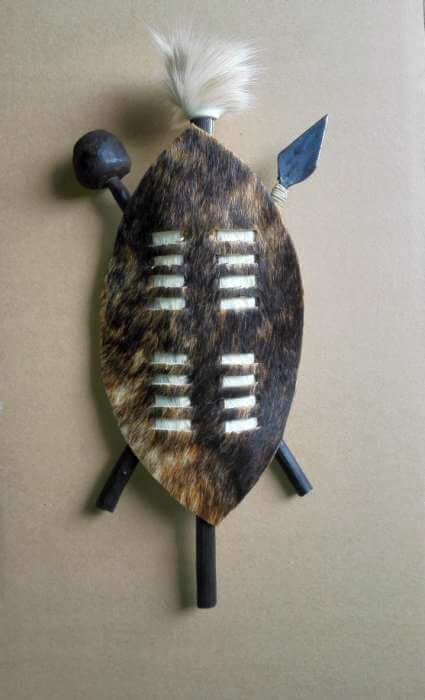 Zulu Shield were mainly used for protection. The Zulu war-shield could be tall enough to cover the owner’s body and it is in an oval shape that can withstand any spear from penetrating it. 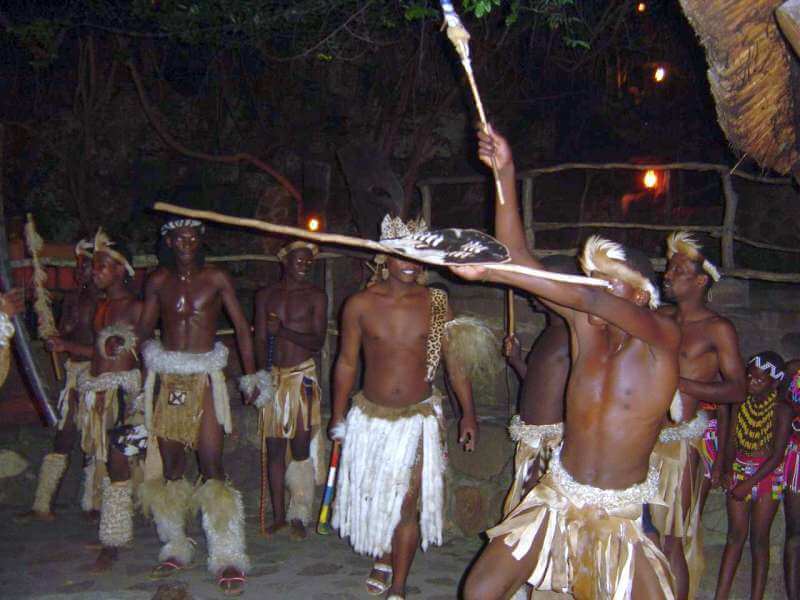 Formal training was not in use until King Shaka Zulu took over the Mthetwa army and revolutionized the Zulu weapons. 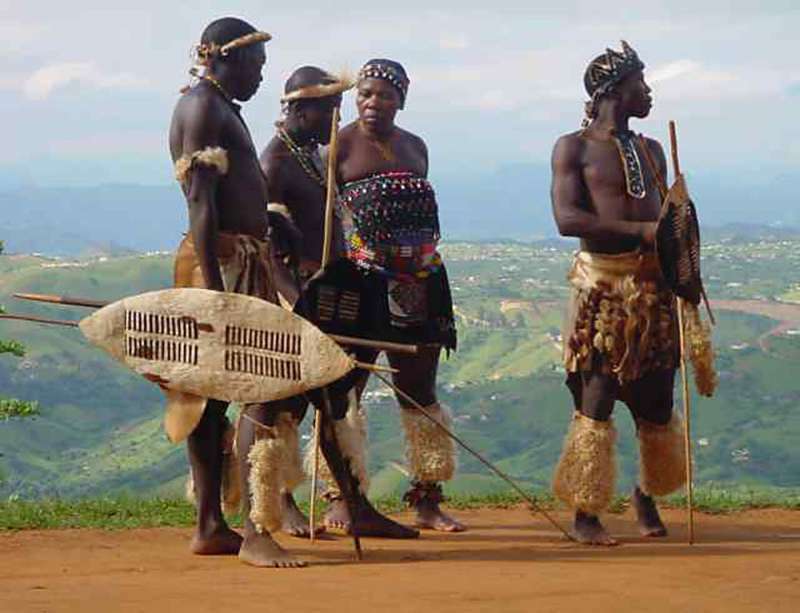 The making of Zulu shields, both for ceremony and war, was a specialized craft. Hide was taken from the back of an animal, pegged out in the sun to harden and dry then buried under manure for at least two days before being pounded with stones. The characteristic oval shape was cut and a central stick support secured by leather loops. Two columns of small horizontal slits were cut in the face of the shield and supple pieces of leather interwoven between them down each side of the stick to give the central section a double thickness. 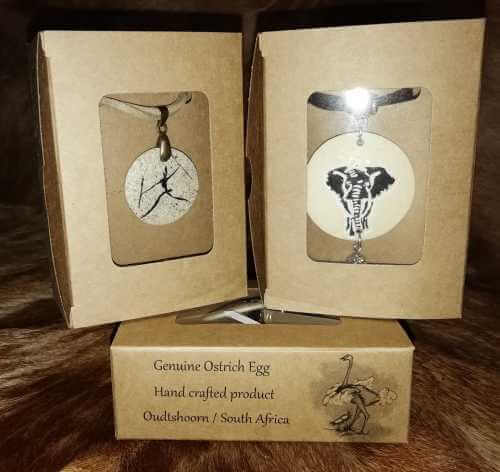 These ornamental shields are made by traditional Zulu craftsmen as a means to their income . The Zulu people are found i in South Africa. The area that they can be found is called KwaZulu Natal. 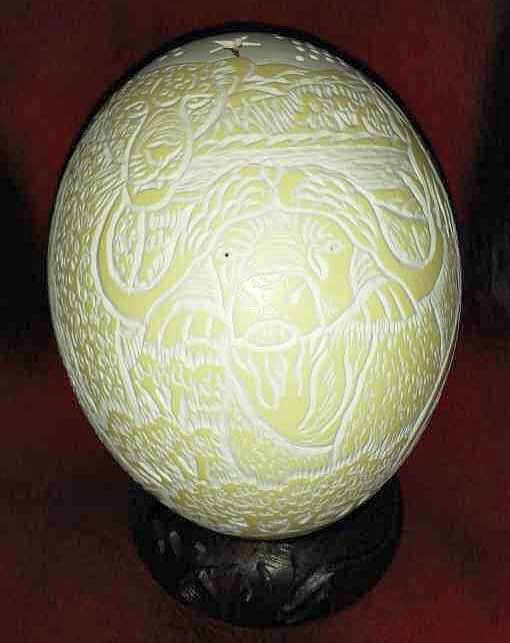 Zulu art and traditional works are some of the most beautiful you will be able to find anywhere in the world. A true collectors item. All sizes listed are approximate. The African handcrafted Zulu shield you purchase and receive may differ just slightly in size, look, and/or color from the African Zulu shield shown in the picture because each Zulu shield is handcrafted by individual artists. Zulu shields are crafted from Nguni cow hide in the natural colour of the hide. Let us know your colour choice when you order your shield. 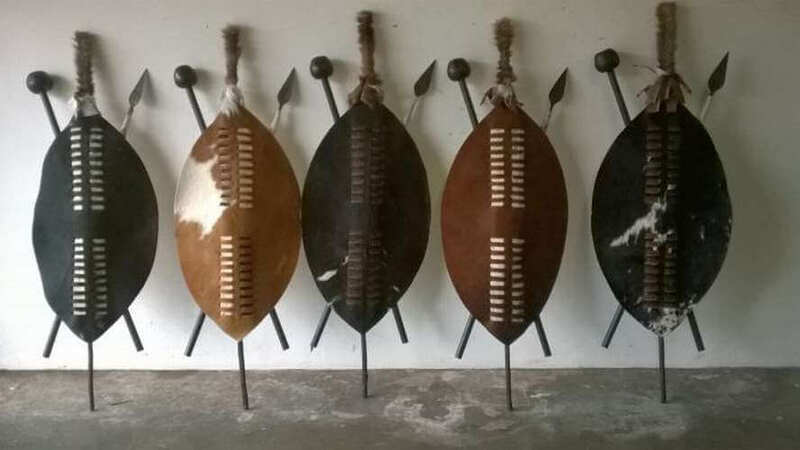 These Zulu shields have the 3 clubs attached, the spear known locally as an Assegai, the ball club known locally as the Knob-Kerrie and then the center shaft known locally as Umboko.